The new driver-drills feature improved, compact designs. The 12V max CXT 3/8” Driver-Drill and ¼” Hex Screwdriver feature a more compact design. 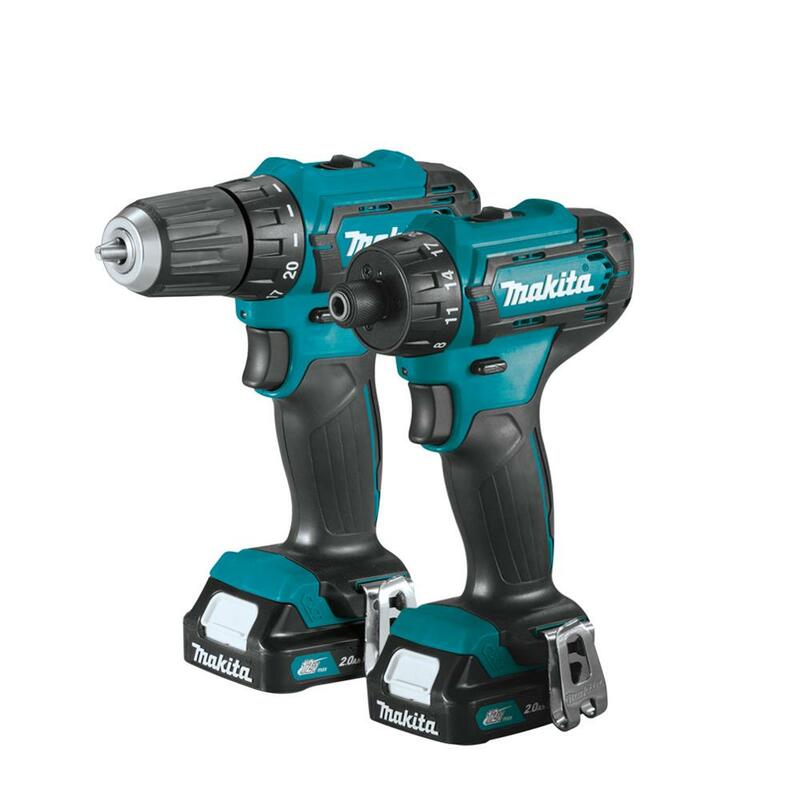 April 12, 2019, La Mirada, CA – Makita® U.S.A., Inc., manufacturer of high quality industrial power tools, outdoor power equipment, and accessories, announces the launch of the Makita 12V max CXT® Lithium-Ion Cordless 3/8" Driver-Drill Kit (FD09) and ¼” Hex Screwdriver Kit (FD10). These tools are an ideal solution for users seeking a more compact driver-drill for applications in tight spaces. The FD09 and FD10 deliver power and speed in an ultra-compact size for efficient drilling, driving, and fastening. Both tools feature an improved chuck design engineered to reduce run-out, resulting in less wobble on drivers and drill bits. The variable 2-speed covers a wide range of drilling and driving applications. Each product features a built-in L.E.D. light for work area illumination. The FD09 (shown) and FD10 deliver power and speed in an ultra-compact size for efficient drilling, driving, and fastening. FD10 (shown) or FD09 are ideal for work in tight spaces.